NIS, SERBIA. 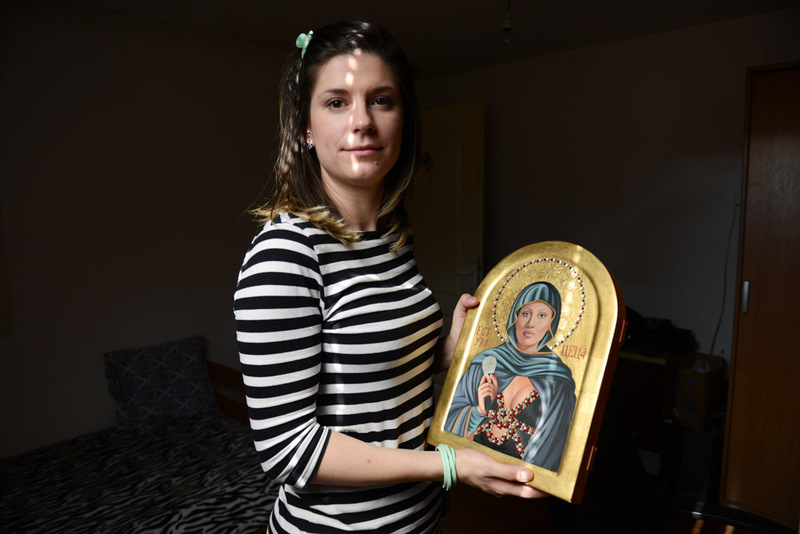 Vladislava Djuric, 30, holds her nationally famous icon of Svetlana Raznatovic, better known as Ceca, which garnered national headlines after pictures went viral of it taken during a student exhibition at Djuric's university, on July 10, 2015. Ceca, a turbofolk star better known as "the Mother of Serbia," was married to one of the Bosnian War's most notorious Serbian military commanders, Arkan, who was later assassinated, and was one of a rotating cast of turbofolk stars who gave daily concerts in Belgrade's Republic Square during the 1999 NATO bombing.